HUNGRY CAKES 21520 Yorba Linda Blvd. Suite G-483 Yorba Linda, Ca 92887 Business Inquiries HungryCakes20@gmail.com CAMERA Canon Rebel T5i . 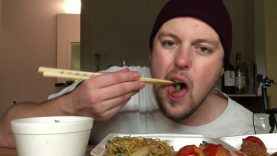 Watch my other popular American-Chinese food videos below. Panda Express Pick Up Stix – Kung Pao . Hi Guys! This is a requested video from (William M). I hope you like this video and enjoy it. This was really delicious! Thank you for watching! Picked up some goodies from my local Chinese joint. If you have any ideas for upcoming videos, please leave your suggestions below xo . [ASMR] Japanese Teacher sucking your thing.